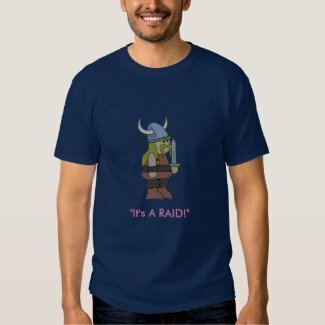 Ideas on Zazzle: "It's a Viking Raid!" Vicky the Viking is a happy little chap. He and his mates are a raiding party. They just love, cake and treat themselves where'er they go. Party, Party, Party is the life of this particular Viking so he came up with this T-shirt that he and his best mates can wear when they go raiding.